It is an expression we have seen in several places, so when I initially heard that the new Assassins Creed Odyssey was ‘more of the same’, I was not that surprised considering the Ubisoft of the past few years, yet, as I loved the forward propulsion that AC Origin gave us, I was upset enough to keep my eyes out for a decent review and Eurogamer gave that to us (at https://www.youtube.com/watch?v=23CLV1jl9oo). In the first those who do not realise it, Eurogamer is one of the best reviewing channels for games you can find at present. They have been honest and give a decent view from their point of view. It is also interesting to note that each of the reviewers namely Aoife Wilson, Johnny Chiodini (aka Mr Feedbackula), Ian Higton and Chris Bratt have their own likes and dislikes, just like me. I myself am nuts about RPG games, they too have their preferences in gaming. So in this case I got treated to the smooth Irish voice of Aoife Wilson. Let’s face it, when any review comes with an Irish accent, does it not generally sound better? So the review gives a little bit of a spoiler, but considering that it is merely the start of the game and the fact that the game promises over 100 hours of game play, we can accept that part and the very first thing we see is that even as it is another Assassins Creed, it is no exactly ‘more of the same‘. It is more, a hell of a lot more and even as there are elements of all other games in here, the game is definitely a new behemoth. So even as we are treated to 431 BCE, which by the way this was also the beginning of the Peloponnesian War (I remember that time well), it was a year before Athens was almost completely ravaged by Typhus, and a year after that we got treated to the very first showing of Oedipus Rex, a tragedy like no other. In this the mother forgives him, the father is unlikely to ever do so. But back to the game. Yes, there was some ‘more of the same’, but mainly only in the graphics, which were outstanding in Origin and outstanding is always good. The video give us a clear setting that the storyline has been given a massive haul over, making it a much larger RPG sandbox setting than ever before. That is my part where I answer Aiofe’s question ‘Does it justify 100 hours of game play?‘ To that I at this point state ‘Yes!‘ The story lines are an important part, and in addition to the other parts it seems like with Tomb Raider, the underwater parts seem to look a lot better. Parts of the review also imply that the game has taken a more tactical side to the game as well. Going after a fort by yourself versus weakening the enemy first makes a lot of sense, so in all this, there is a lot to see. As I see it, it is not ‘More of the same‘, it has become ‘A more evolved and adult approach to a game of such a tactical nature‘. So in all when you look that you are playing a game with 4K (for those with the coins to play in this mode), we see the setting that AC Odyssey is offering a game that remains under $1 an hour, which is by far one of the most rewarding value for money games I have seen for some time and that is worth a lot. It also gives the setting that with two distinct choices (playing as the he or the she), also makes the game an interesting choice to replay, which makes the game even more rewarding in more than one part. If I had to make a pre-release view then it is that Ubisoft is back in adding value to its brand and franchise, which gives us the ‘better late than never’ part and that counts as well. Those who have read my views on Ubisoft know that I have not been kind to them, but I have always given credit where credit was due and in all this, and in this case Ubisoft should get loads of Credit. If there is one optional part missing (unverified) in all this it will be the setting of the Nekromanteion not being there, what would have been in the Northern boundary of the map. It was where the Temple of Hades was. It might matter as it in this time setting when the site building was erected and it would stay there until the Italians (Romans) decided to burn it down in 167 BC. I have watched several reviews and I disagree with a few. Some state that this is not a proper AC game, and perhaps this is true as this is centuries before the Creed, is that a bad thing? I would offer that AC Black Flag is even less of an AC game. It is perhaps a new IP and in all this it is a push for an historical RPG game, this is with my love for RPG a great step, for others perhaps less of a nice step. No matter how you feel about the AC part, Odyssey is exactly what the titles promises to deliver. You will embark on an epic journey and when you think that Origin already gave that, think again. The map alone seems to be close to 300% of the previous game and that is impressive when you realise just how big Origin was. So on October 4th give your pet a really big treat, presents and felicitations as it is World Animal Day, because the day after that AC Odyssey is released and there is every chance that you will ignore everything around you for days to come, which would make perfect sense. So even when we see large changes in this franchise, it is my personal impression that they are all for the better, there is not one part that seems to be negative in this. More options for dialogue, more choices on paths as well as multiple endings. Making the replaying of this game more enjoyable and when you consider that this game was already down to $1 an hour (for some even a lot less) making that 100 hour journey the best epic journey in the history of this franchise. The most honest question you can ask yourself, are you willing to play an RPG? Are you willing to step out of your optional comfort zone? It is my belief that this trip will be one you are extremely unlikely to regret, but in the end only you can answer what you like. 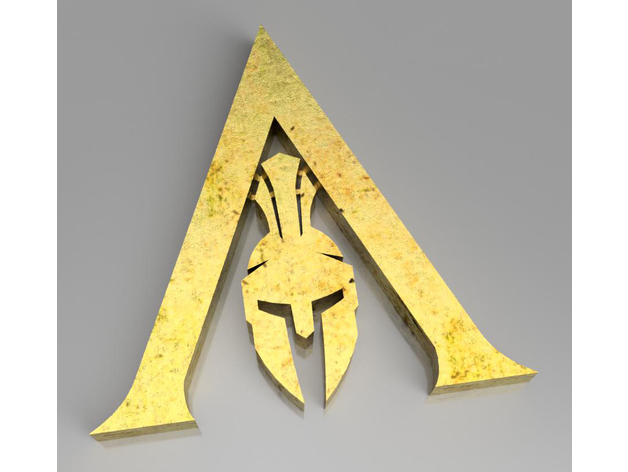 what is clear is that the AC franchise has taken a new course, and as it is a pronounced one, it will not be for everyone, I merely expect that it will be the right path for many more players than ever before and that is a good thing, a good game is always a good thing, even if it is not for everyone. Only a delusional developer makes a game that is for everyone! If there is one part that I will miss, it will be the one hit kill. Historically speaking, sneaking up to a person and shove a spear through the back of its skull tends to be fatal, there has never been an exception to that, not even when you sneak up to an ego driven empty headed politician. They all tend to keel over, curl their toes and start their: ‘I am dead now!‘ procedure. So that part I will miss, even if there is no more hidden blade. So one optional non positive part against close to a dozen positive parts, how can any player pass it up? Well that will be fair, the non RPG lovers, but for that group there are plenty of other games to play. No matter how you view it all this will be an amazing trip, so choose, decide and optionally enjoy this game. I expect this game to get an 88%-97% rating, that whilst the RPG lover is likely to give it a 92%-99% rating (only Zeus, Poseidon and Hades get 100%), Leonidas and all everyone else will have to live with a 99% rating. We are only two days away from the E3, those who are into gaming will wonder ‘what will we see next?’ We all feel that way, yet lately, the more I see of Elite: Dangerous, the more I await its arrival on PS4. For now it is a Microsoft exclusive. I remember the day I became ‘dangerous’ I had been playing it for quite some time. Consider the screen below. This was the screen we drooled about. It was on a C-64 and it was ‘da bomb’ in those days! So many hours, at first jumping short distances, hoping no one would attack me, but after my first pulse laser, I got to be cocky (and got killed in the process). Now we see the next gen pics, one is the PC, the other is as I was told the Xbox One edition (this is not a cut scene, this is actual game view). If you think that ‘it is all about the resolution’ then you are quite frankly a nob (or a dweeb). I have been and will remain a Sony fan (I still love my Xbox 360), there is no denying that this game is beyond amazing! Most information on the XB1 edition so far, I got from YouTube. As I played the original and have had decades of gaming experience (which is why I knew the flaws Microsoft is fixing now, were a solid known issue for me 6 months before the system was released, and not all have been fixed by the way). Now, most gamers will be the Mario kind, or the Grand Theft Auto kind. This game might not appeal to either, yet, I feel that the flight simulator and Role Playing Game kind will truly love this game, and we are in for a lot more heart elevation than just this game! To get a good initial look of the game then watch this: https://www.youtube.com/watch?v=grIGMs3Kj4k. The man talks clear but waffles a little in the beginning. He is going through it all clearly, so bear with his explanation, because it is worth it! If need be, skip the movie to 4:45, now you see the first glimpse on how a mere idea in 1984, becomes something truly amazing when the computers catch up to the imagination of an individual, in this case the imagination of David Braben and Ian Bell. This is not a 30 hour game, this is a game that will keep you busy for many months, if not years to get it all to a worthy level, but let that not stop you, because as you evolve from one ship to the next one, you will be able to transport more goods, have better protection and go hunt criminals. The openness of the game that was, was already impressive, the size of the new edition is beyond anything you can imagine. We are talking a few million times larger than the original. 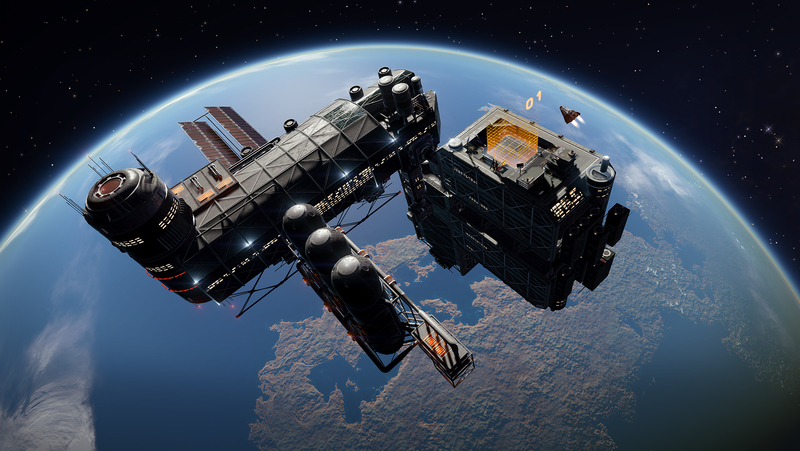 For those who like the idea of space exploration, this is one of two games to get. 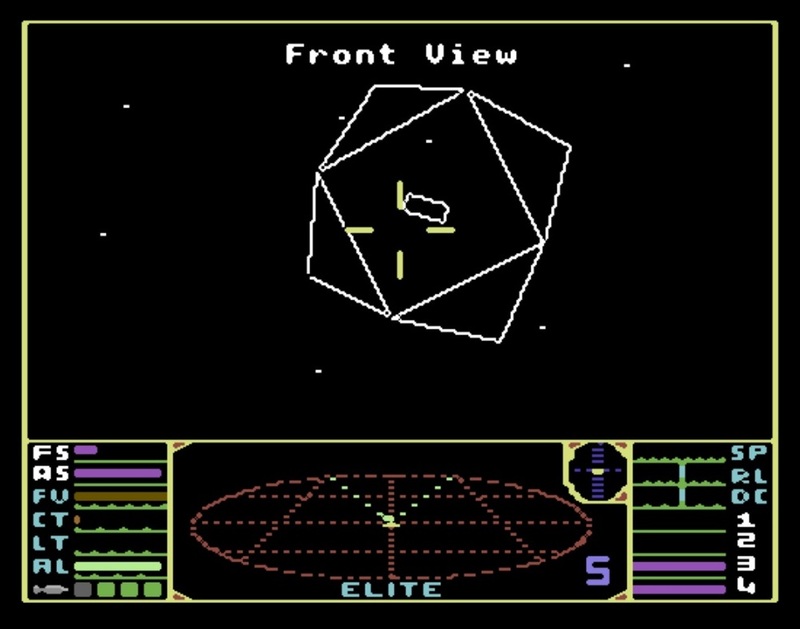 What is amazing is not just what it looks like now, it is the fact on how the navigation systems from 1984 are still at the core of what is now, it was the most innovative look and now, this view is the centre of aligning your ship and weapons systems towards your enemies. And it does not just ‘seem’ to be the best, as you watch the game on YouTube you can see how fluent the controls seem to be, especially as we consider the response from Blitz ‘Oops! We’re going the wrong way’ moments later it is all back to normal. The other game to get is ‘No Man’s sky’, but that one I will leave alone, because, too many people are hyping this game, based on the same materials most saw (YouTube and so on). So we will wait for actual release date information. What is interesting is that leaking information is not just limited to the political branch of the media, it seems that Dishonored 2 information has leaked. Dishonored was the stealth game on 360/PS3/PC, which had open levels and had a steampunk look to it all. The interesting part is that there was no set way to do the game, stealth or kill everyone, you got to choose. Another interesting part was hat when I replayed it on the 360 a while after I completed it, I found in more than one level another way to get the game done, which is awesome, because that gives a clean ‘open level’ approach, something that I am a big fan of. There is still question whether it comes and whether it is a leak or a ‘miscommunication’ but gamers live for these moments, because Dishonored 2 was not in the open pipeline and a fan will get overly enthusiastic when a sequel arrives of a game he is a fan of. At this point, the Bethesda conference is only 12 hours away! 12 hours until the Fallout 4 trailer will get additional support and information to those who love that game (that would be me). 12 hours after that the show takes off for thousands of gaming fans! There will be joy, there will be tears and there will be outrage. The latter part might be a bit much for Ubisoft, but there is no way to tell how they will fix previous blunders and how they will appease the deserting population they have experienced. Time will tell and on that part I will not speculate at present! I still feel that they could turn it around and rebuild what they had lost, it just takes one truly visionary person (often not found in a board of directors). Ubisoft does its presentation 20 hours after Bethesda, Bethesda has a 12 hour leap on Microsoft too, so whatever news they bring will get unadulterated limelight for the better part of a day. The rumours are ripe and some state there will be more than just Fallout 4 and Doom, but again, they are just rumours and Fallout 4 is pretty massive sized news, especially as it comes out this year, so that means within the next 6 months. So why more on games? You see, games are getting to be a much more important part in the lives of people, many of them not into gaming at all. Gaming is now a major player for Trademarks and let’s take a look at patents! This jewel comes from the Legal Commission of South Australia (at http://www.lawhandbook.sa.gov.au/ch11s12.php). New we get back to the gem, the jewel of gaming, Elite. I mentioned that navigational part of the game, which is the kettle. Was it registered, is it protected? Let’s not forget that ‘it will still lose copyright protection once it is commercialised [s 77]’, which gets us to the need for protection for these games and the growing powers of trademarks and Patents. Yet, trying to get a Trade Mark or Patent after you gone public is another matter, so what legal protection did these new makers prepare? Consider the uniqueness of the Elite navigation display, how protected is it? You might think that this is a joke, but it is not. A new game will cost between 20-150 million dollars, so you need to get it right and make sure you have your protection in place. Even though larger productions are less likely to fear Trade Marks or Patent infringement (usually they fear industrial espionage), but having the protection just makes your case stronger. So here is the Crux for some of the new Law firms. If you take time to visit the E3, how many products are in need for protection? Who has actually done the full scope of this? IP is an evolving market, the protection required will increase with every iteration of the game. You see, the gaming industry has arrived in the location, the hardware industry was in 1998. Now that makers will return to an annual release of a game, an iteration of the original, the game will also face the danger of a ‘white’ version. A look that is similar (but not ‘looks alike’) that provides the gameplay the gamer would like. You see, no matter how their marketing division brings it, Assassins Creed 2, AC Brotherhood, AC Revelations, AC3 and AC Black Flag are in many parts similar, as such, game makers have had 5-7 years to catch up, 3-5 years for those who waited for the second one to become a hit. As such, in light of the fact that re-engineering can usually be done in 40% of the timeframe, the need for legal protection will increase almost exponentially. Do you think that no one else is now thinking of a ‘new’ GTA5? The game brought in a billion dollars, so YES! There is someone trying to flog of a new game offering a similar game. It only takes one innovative part for the original to feel the pain of losing a market share. There is however a change, you see, some still feel the following description: “Obtaining a patent is a long, tedious, and expensive process, that it can be challenged by the examiners and later by others in court“. Yet the Patent Cooperation Treaty (PCT), which is internationally accepted, has an international patent, which does not have the same threshold patents used to have, which means filing is easier and most important cheaper! If we look at the definitions in section 39.1 of the PCT treaty, we see :”(vi) computer programs to the extent that the International Searching Authority is not equipped to search prior art concerning such programs“, yet is that not a failing of the organisation? The fact that a billion in revenue cannot be protected, is perhaps slightly ludicrous. Again, in Robert Bosch v Siemens we see: “However, it is not to be inferred from these rules that searches or examinations in the software field are to be ruled out in international authorities. On the contrary, it seems to the board that according to the PCT searches and, if applicable, examinations of this type can and may very well (perhaps even should) be carried out if the competent authority is appropriately equipped“. So, the victims remain as international authorities are ‘trying’ to get equipped? There is enough here to see a needed evolution that not unlike Torts will go on a case to case bases. The case on Sega v Fox Interactive, Electronic Arts, and Radical Entertainment regarding a US Patent, which was settled for an undisclosed amount. There the core of the infringement was the navigation system, the copied one was ‘too’ similar. The core of gaming is expected to exceed 80 billion in 2015, that target is already likely to be exceeded, so as we see that gaming is now expected to overtake BI Intelligence market revenue by 1300% (yes thirteen hundred), we can surely see the short path we have in view as the need for software patents are required to strengthen an iterative market. Even though there will be some protection in Trade Marks as the branding of a game is too similar, consider the quote “if the novel elements are functional, the item cannot be copyrighted: although it might be eligible for patent protection“, which takes us back to Elite as a first example. Its navigation is quite unique, I have not ever seen it anywhere else to that extend and now as the larger masses go to play, such protection is more and more an issue. Take into consideration that the affordability of patents are now a fact, giving an option to patent, until opposed (which still needs to be decided), we have enough to see the change in the gaming industry, IP is taking a foothold, so when you follow the E3, see how often you hear the term, ‘our new IP’, because that part will take centre stage as per last year. So where are you now in all this? More interesting, which law firms are considering evolving their portfolio with the gaming industry, which is only an $80 billion market for now!